The new BMW 8 Series Coupe is more than just a sports car. With this model, BMW gives the luxury segment a new identity. It makes automobile dreams come true and creates unique moments of pleasure. The spectacular TV commercial at the centre of the market launch campaign for the new BMW 8 Series Coupe takes as its motif the emotional impact of a completely new mobility experience. It shows the luxury sports car driving through the historical centre of Venice. 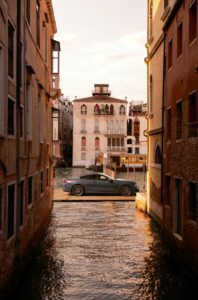 The new BMW 8 Series drives past magnificent palazzi and underneath the Rialto bridge. It makes its way along the Canal Grande – a route never before covered by an automobile. The story of the driver is also told in the short film. His childhood dream comes true of driving a car through Venice. Meanwhile, viewers gain a whole new perspective on the lagoon city. The film features moments of driving pleasure in an unfamiliar until now form. It will be shown in versions lasting 15, 30 and 45 seconds. The clip is about a young Venetian man who as a child discovers his love of automobiles in general and BMW in particular. A model BMW M1 becomes his favourite toy, and a boat-builder friend introduces him to the fascination of engine technology. But in a city in which boats are the sole means of transport, his yearning for sheer driving pleasure remains unassuaged. That is why he leaves Venice as a teenager, not to return until many years later. And now, at last, his childhood dream comes true. In the new BMW 8 Series Coupe he drives on pontoons that pave the way in his home city. The scenario is symbolic of efforts to make the apparently impossible come true and turn long-nurtured dreams into reality. It allowed an automobile to drive past the world-famous backdrop of the city’s historical centre. 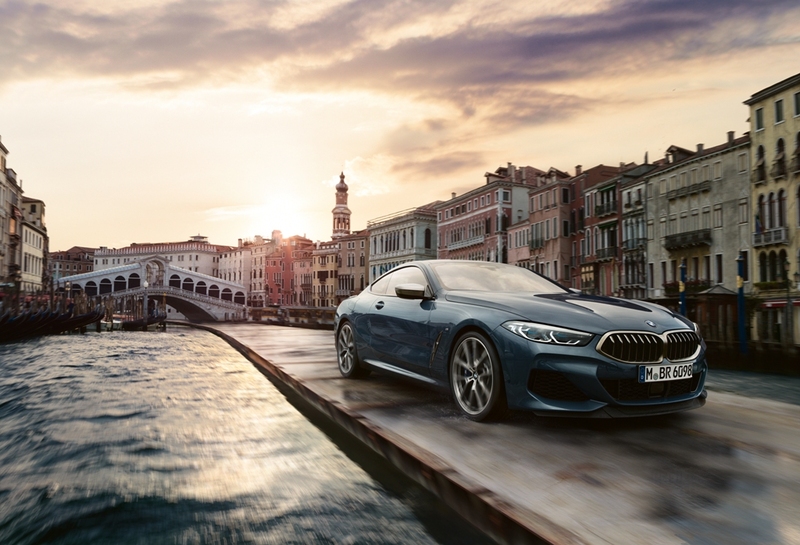 Where gondolas, vaporetti and small motorboats have been the sole means of transportation for centuries, the new BMW 8 Series Coupe became a true pioneer of driving pleasure. Quite literally striking out on a new path. The sensational scenes come from using camera drones. BMW Group developed the campaign for the 8 Series Coupe in collaboration with Serviceplan Campaign International. There will also be wide-ranging social media activities on outlets such as Facebook, Instagram and YouTube. 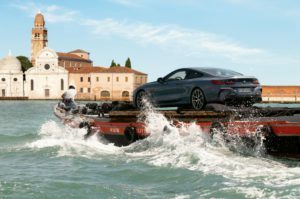 A feature with background information and impressions of the otherwise car-free city of Venice as well as a documentary of the film shoot with the new BMW 8 Series Coupe is also in preparation. “The market launch campaign for the new BMW 8 Series Coupe expresses not just the distinctive character of this model but also the emotional power of our vehicles in the luxury performance segment and innovative strength of the BMW brand,” says Kirsty Skinner-Gerth, Head of International Campaigns, Artwork, Film, Entertainment Marketing. 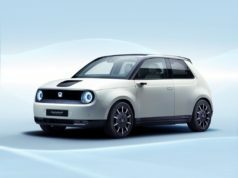 The models in this segment now bear a newly designed signet along with the company name Bayerischer Motoren Werke written out in full. The brand’s intensified presence in this segment is one of the objectives defined by the BMW Group as part of its corporate strategy NUMBER ONE > NEXT to secure sustainable growth in automobile markets worldwide. BMW is also creating a world of experience in the globally expanding luxury performance segment.